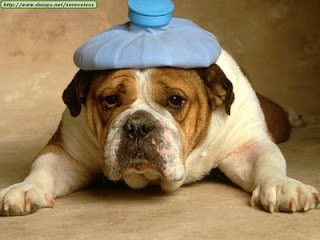 Thank you for all of the lovely e-mails recently enquiring about my health. It has been a fairly stressful few weeks with doctors appointments and lots of machines and tests but that is all over now for 6 months or so. I have some fancy little pills which will hopefully help me to cope better with my symptoms until I undergo the next barrage of tests - I am so grateful for the lovely friendships I have formed here and the care that you have shown me. Gosh there have been so many of you out there that have been cooking my "Wellingtons" aren't they just so yummy? And so easy......... I think it was Lurline that asked about a recipe index on my blog - I will do that in the next day or two so it is easier to find them - Thanks for the great suggestion. 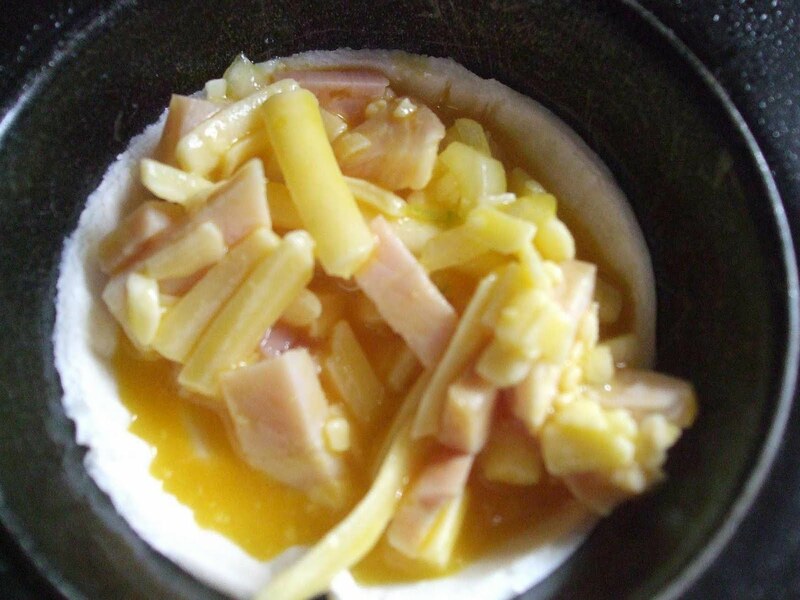 Are you ready for another quick and easy recipe? This time it is Mini Quiches. I make enough mix to make 24 - 27 at once which is usually a weekend lunch on the run for our family. Take 6 eggs and beat until mixed together. 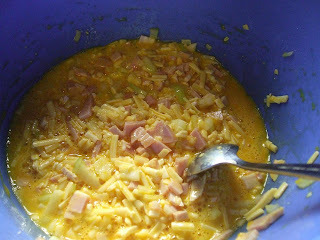 Add 1 diced onion, 4 rashes diced bacon, sprinkle of pepper, 1 1/2 Cups of cheese. Use 3 sheets of puff pastry( you should get 9 cases per sheet) and cut out circles using a cutter or glass. Place into a well greased muffin tray. Spoon the quiche mixture into the pastry shells and bake in a moderate oven (180 degrees celcius) for around 15 minutes or until golden. Place on a wire rack to cool slightly and then eat whilst still warm - DELICIOUS !! I have been doing a few small projects over the past week or so. 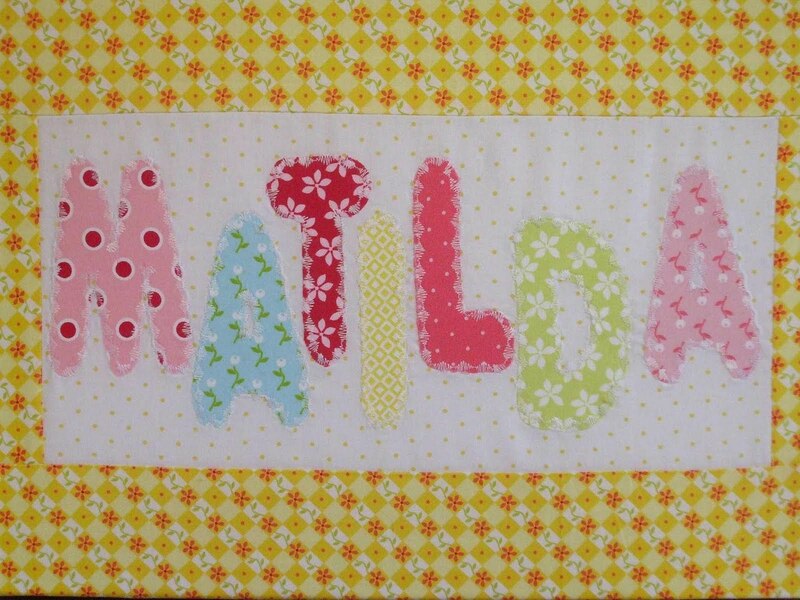 I made this appliqued canvas for my nieces bedroom wall as an easter gift using some delicious Quilt Soup fabrics from their bubblegum basics range. 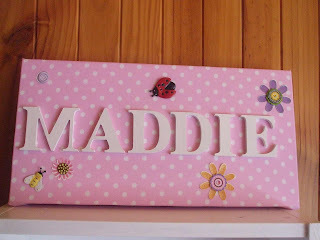 And this one for Maddie from painted wooden letters. It was Sam's birthday last Saturday and we celebrated with a birthday tea. 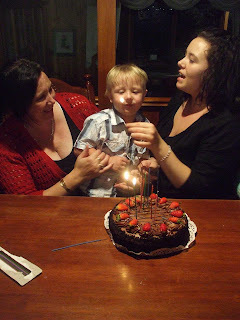 Here is Tom with both Sam and I helping to blow out the candles. Don't forget to enter the draw in the previous post. Entries close tomorrow !! 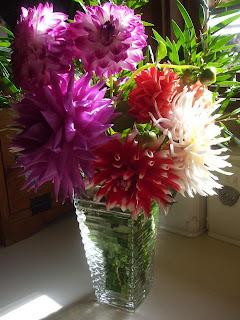 Look at these delightful dahlias which I purchased at the market last weekend. Sadly they haven't lasted too well in the vase but they were so pretty for a few days. They are such a lovely flower aren't they? 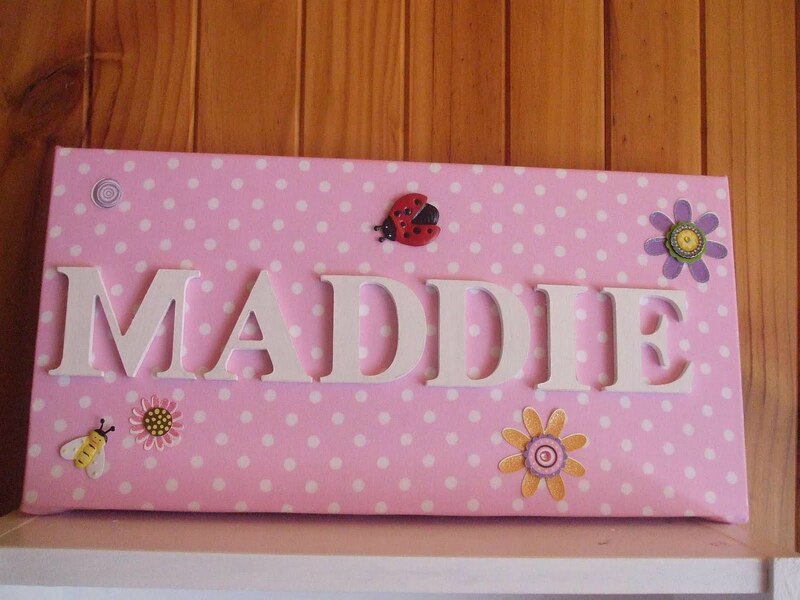 Oh and whilst I am here I thought that I would show you a recent thrift shop find. 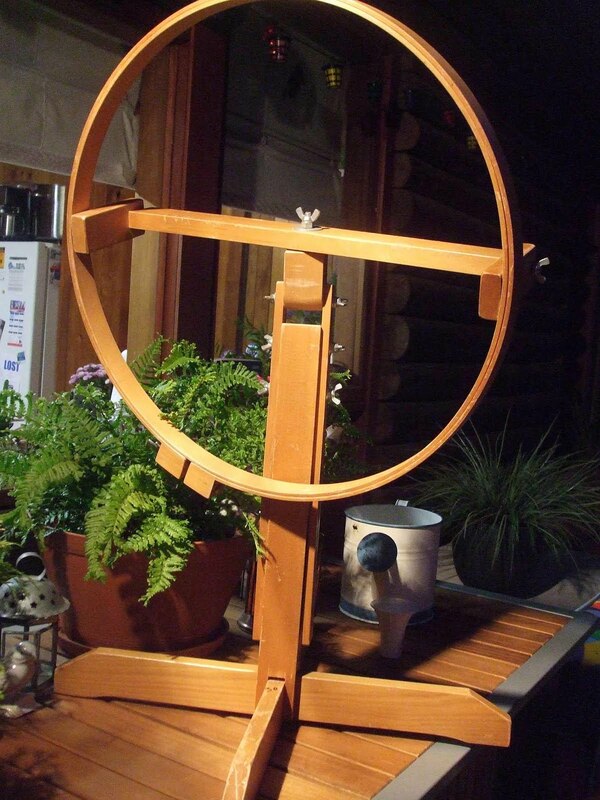 A free standing quilting hoop !!! Yes you heard me right !! Isn't it lovely? It swivels in every direction and is all mine mine mine !!! And for just $30.00. Have a great weekend girls ! Yummo, another good looking recipe.. Thank you! You've inspired me to make a special binder just for the great recipes out there in blogland. Lucky you with your frame too.. you were meant to find it. Hope you are feeling better every day! Pleased to hear you are feeling heaps better. Lucky you to find your great hoop. Those mini quiches look delish, Fee! 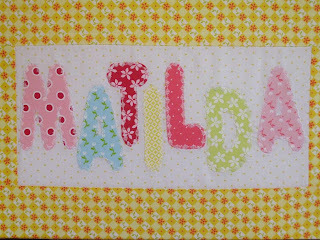 And as for the quilt frame... drooooool! so pleased that you have given us the update on how you are, cos i have been thinking about you and your health. Hope that you will soon be feeling much better. 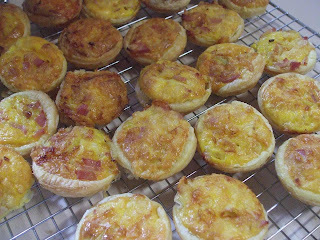 Love the look of those little quiches, yummo. Nice find & recipe Fiona....also HAPPY BIRTHDAY!! !